Hi! My name is Helena (hummerbird). I am going to be 60 next week, Nov 16. I have come full circle with this. 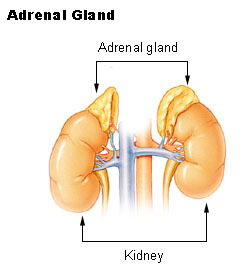 I knew I had adrenal problems 12 years ago when I got stuck in the ‘fight or flight reflex’. I paid to have saliva tests done and it showed that I was dumping cortisol into my system early evening with my lowest point being 6am in the morning. I showed my allopathic doctors the tests but none would put any stock into saliva testing and just blew me off (this was 2002). Some of my first signs were extreme insomnia yet when I did sleep I would still feel extremely fatigued, flushing of the face, neck, chest, and back, weekly migraines and daily headaches which started after I was 45, unexplained weight gain, crazy buzzy internal tremor adrenaline smacking (I could actually taste it!) jitters that would not go away, hypersensory (especially to light and sounds), feeling painfully sunburned even though I had not been out in the sun, pain in my legs going way beyond restless leg syndrome, totally fearful of everything, developing a hump between my shoulders and a host of other symptoms. I was first diagnosed with fibromyalgia 03, then SLE Lupus 09 (positive ANA but no markers). We moved to Colorado in 2012 and then back to Oregon 2014 and when I saw my rheumatologist again after 2 1/2 years (Oct 2014), he said it looks like you have Cushings? So at the moment I am suspected to have Cushings. I have been reading up on it and I am totally textbook (including the fact that I could literally step into the profile of the picture of the woman with Cushings). Not sure if this is drug induced or if the prednisone finally brought out the demon that’s been tormenting me. My rheumie wants me to slowly wean off the prednisone. My dosage was 5mgs per day unless I was flaring (dealing with horrible muscular pain and internal tremors) then I was to do a step down starting at 30mgs back to 5mgs. I probably do a step down every other month. My internist in Colorado wanted me to get off my Percocet 10/325mgs 4 times a day and try to deal with the pain. For the first time in my life I used MJ edibles to get off the Percocet with only a week of hard withdrawals. I was on the MJ edibles for 3 weeks until I realized I was allergic to it! I now take 2 Tramadol 50mgs 3 times a day to control pain. On the negative side this is not working because I have too much breakthrough pain but on the positive side I have a clearer head (I’m able to focus and read again!). Over the years my days have gone from one ‘down’ day a week to a whole month of down days. I have lost my quality of life and pretty much my social skills. My venturing now is from my bed to the bathroom, kitchen, and possibly my recliner if I’m not feeling too dizzy. I have three saints in my life, my husband and my two girlfriends who take care of me. I know that God has a plan for my life and I have faith in knowing that I’m going to feel well again some day. It has been a long and expensive road to travel to get to this point. I am not looking to have Cushings but it is a diagnosis that finally fits completely. I’m looking forward to meeting the support group. Love you all and thanks for taking the time to read my post.